When searching for the right functional fitness products and design that could be customized to meet the style and branding for this amazing new brand, Trainerspace selected MoveStrong as the leader in specialty functional fitness equipment. Built with the customization and high-end design needed to compliment the overall look and feel to this upscale personalized fitness club. Utilizing the MoveStrong Nova FTS w/Extended monkey bar bridge and custom logos for the dual color turf functional training area. Also choosing to use the MoveStrong Elite Storage Racks, Pull-up bracket system with Stall Bars, Adjustable Parallel bars, and the MoveStrong functional fitness tools Elevate Trainers, SledgeBells, DynaBells, and various hanging grip strength tools. 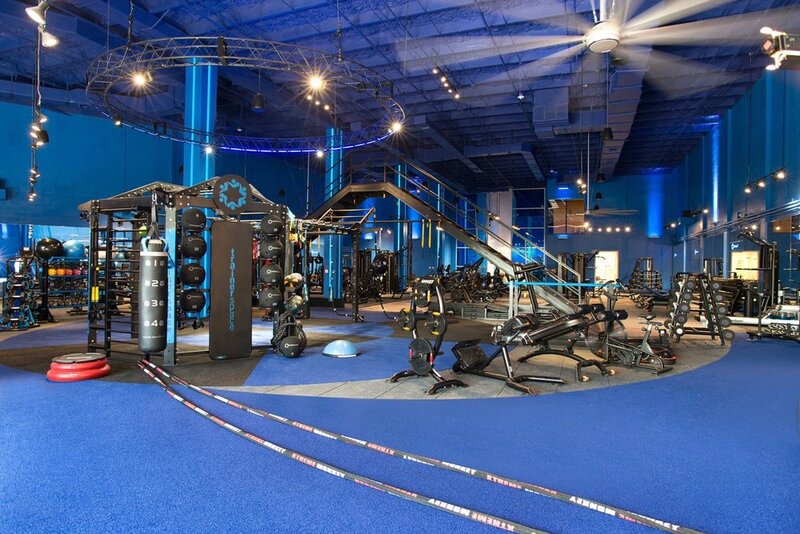 "Trainerspace is the undeniable new crown jewel of personal training and fitness in the Southeastern United States.